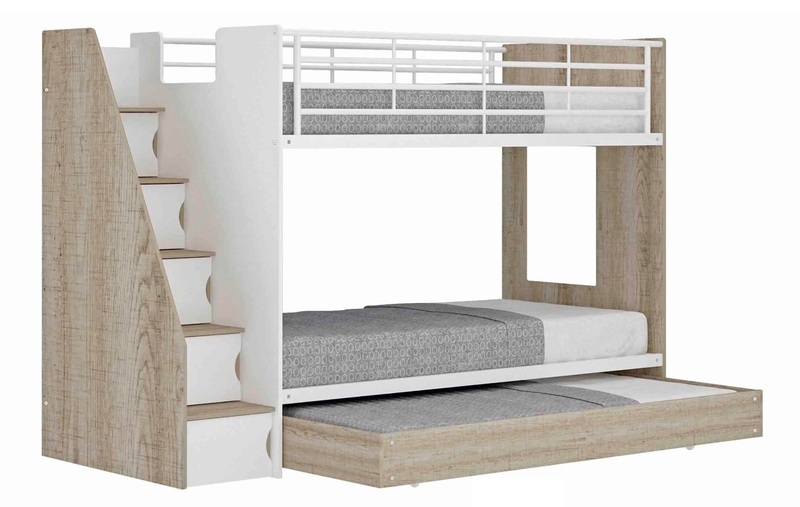 This beautiful Ashton Bunk is a al lthe way through single over single bunk, accompained with a feasible cabinet staircase and that extra single trundle pullout under for that extra sleep or storage. The staircases has 5 built in Cabinets providing ample storage space. The bed has solid wood slat base to support mattress. The storage trundle fits 200mm Thickness mattress, but we recommend our 150mm low profile mattress for the bunk throughout also to allow trundle draw to close comfortably.